Yeah, I’ve got more where that headline came from. You people got anything else? Thanks to Bonnie Burton at the Star Wars blog for the pics. 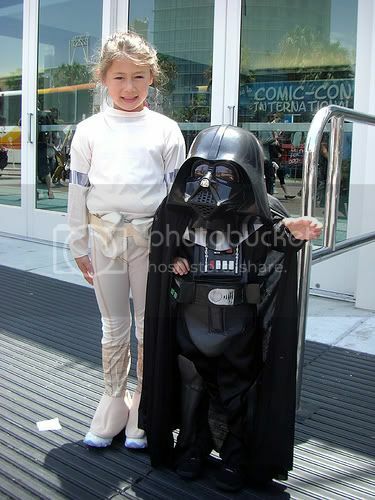 Check out their Flickr photostream for even more Star Wars mini-me costumes from this year’s Comic-Con.